Meets Cummins 90T8-4, GM 1899M, Mack, Case JIC-501, Caterpillar & Detroit Diesel! Controls Corrosion of both Ferrous and Non-Ferrous Metals! Buffering Agents Automatically Adjust pH to the Proper Level! Does not Adversely Affect Pump Glands, Rubber Hose, Water Seals, & Valve Packings! Acts as a Pump Lubricant! Compatible with Solutions of Alcohol & Glycol-based Anti-freezes! Eliminates Scaling and Fouling Due to Mineral Instability! Helps to Maintain Good Heat Transfer! Reduces Costs by Keeping Surfaces Free from Heat-Absorbing Sludge & Scale Deposits! Does not Contain Chrome or Zinc! Will not Form Sludge under High Heat Flux due to Silicate Dropout! 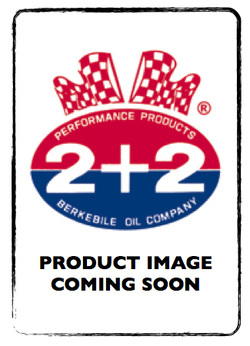 BERKEBILE 2+2® RADIATOR KOOL... controls corrosion scaling and fouling in low makeup, closed cooling, and heating systems. It is a 13-component liquid blend of inorganic and organic inhibitors formulated specifically for ethylene glycol-based heat transfer fluids. BERKEBILE 2+2® RADIATOR KOOL controls corrosion of radiators, piping, engine jackets, and heat exchangers by depositing a protective, micro-thin film on all metal surfaces contacted: iron, steel, copper, copper alloys, aluminum, colder, weld metals, and brass. It is uniquely designed to be effective in a wide range of conditions, such as in temperatures up to 2500 F., multi-metal systems, in systems with high dissolved oxygen content, and where flow is sluggish or even static. BERKEBILE 2+2® RADIATOR KOOL utilizes the latest in cooling water technology, synergistically compounding the inhibitive properties of nitrite, molybdate, and axole inhibitors. Buffering agents automatically maintain a pH in the 10.0-10.8 range. For dirty systems, BERKEBILE 2+2® RADIATOR KOOL contains a polyacrylate ter-polymer that effectively disperses deposits and corrosion products. Because makeup water occasionally contains hardness, it is formulated with a highly effective scale inhibitor to prevent mineral scale deposition. WARNING: Do not remove cap from hot radiator. Allow engine to cool before removing cap and adding any liquids to cooling system. 1) After engine is cool, remove radiator cap and be sure cooling system has enough room to add one full can (30 oz.). 2) Add entire contents of can to radiator at one time. 3) Replace radiator cap. Use one can of BERKEBILE 2+2® RADIATOR KOOL for every 20 quarts of cooling solution.